We had always been told that it never snows in Gower. Well, it did! 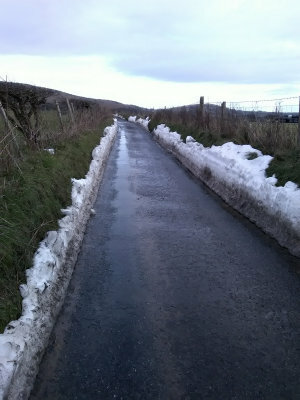 When the ‘Beast from the East’ struck the north west corner of Gower in early March, Broughton was virtually cut off. We didn’t arrive until most of the snow had melted, but it was easy to see how Burrows Lane had been completely blocked when the snow fell. A week or so later it snowed yet again. 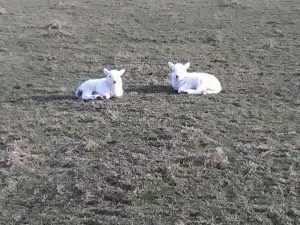 By this time the fields were full of little lambs – it seemed a very chilly welcome to the world.